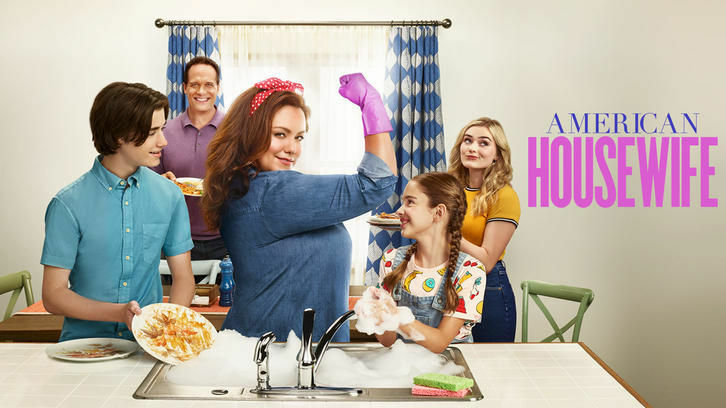 American Housewife - The Things You Do - Review: "You Let Another Man Into My Quickbooks?" After a two month hiatus, the Otto's are back. And per usual, they all kind of want to kill each other. We open on Katie rushing the whole family out the door in a wild charge to make it to school/work on time. She's barking orders, shooting things, and yelling to the top of her lungs. And Greg hates it. He suggests they just get up 30 minutes earlier so things won't be so hectic, but Katie quickly shuts him down. to be going around in Westport!) and sprayed dirty words on the drama teacher's car, so Taylor's in. Oliver and Anna-Kat have decided to team up to try and win the $500 prize on a "Guess That Sound" radio contest. And Greg? He's over-the-moon because it's tax season - his absolute favorite time of year! Things quickly start going sour for the Ottos though. Since Katie now has a job, Greg insists she "join in on fun" of filing taxes. Katie's having no part of this. She thinks the whole situation is ridiculous. They have the extra money to hire an accountant, so Katie hires one - secretly. Oliver and Anna-Kat are fighting over what the sound actually is (Anna-Kat thinks it's tin foil and Oliver thinks it's bacon crackling.) and end up deciding to take their chances on their own. 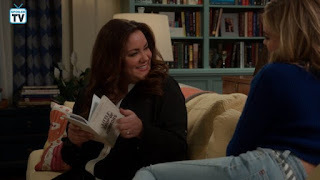 Taylor is thrown out of her post-lead bliss when she is confronted by Trip. He's friends with Julie, the lead who supposedly spray-painted the teacher's car and she swears she didn't do it. Trip tells Taylor that he thinks Pierce set her up so Taylor would get the part and that he's not nearly as good a guy as he's led her to believe. Taylor refuses to believe him. Things continue to get worse for the crew. Taylor overhears Pierce telling some of his friends about spray painting the car and hiding the can in Julie's locker. Taylor tells Trip she was wrong, says she's going to make sure Julie gets the part back (Unfortunately, Julie's parents have taken her on vacation to try and make-up for the whole thing.) and apologizes for refusing to believe him, but now he's the one not having any of it. Oliver and Anna-Kat are also down on their luck. Both failed individually trying to guess the sound. It seems like splitting up might have been a bad idea after all. And Katie might be in the worst position of everyone. Greg's definitely not thrilled when she presents him with the done taxes. Since Katie went behind his back to fix something he does that annoys her, Greg takes that as permission to do the same. So, the next morning, he sets her alarm for 30 minutes earlier! Katie and Greg then go full-speed ahead with telling each other every little thing the other one does that annoys them. 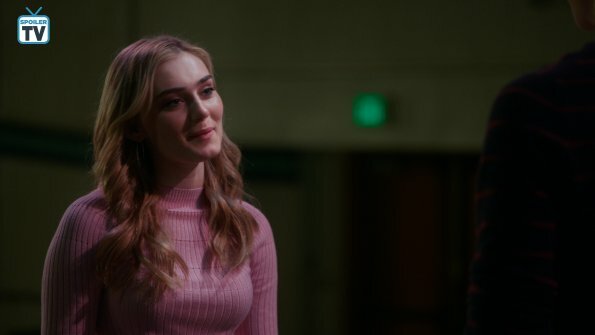 Taylor walks in the middle of this "Annoying Quirks Tell Off" and tells everyone she doesn't think she can continue on with the play, in which she'd have to kiss Pierce, now that she knows the truth. There's a real possibility Greg and Katie could use their respective talents of grand romantic gestures and rallying the troops to help fix things, but it almost looks like they won't be able to stop fighting long enough to help Taylor get Trip back. Thankfully, Taylor's able to yell some sense into them and they agree to put their fight on hold for the night. Katie gathers the family and Greg lays out the details of his grand plan. Anna-Kat lures Trip into the theater with gummy worms. Oliver convinces the lighting guy (who, like just about everyone at school, hates Pierce) to go off book with the spotlight. Pierce and Taylor take the stage to sing "Suddenly Seymour" but when the song gets to Taylor's part, she changes the lyrics, informing the audience Pierce is "a big turd" and starts singing "Suddenly Trip." The spotlight hits Trip in the audience and BAM! Taylor walks off stage and right over to him singing the grandest of apologies. And Happy-Go-Stupid and Taylor are back together. -I kind of loved Katie's morning routine! -I'm pretty sure I have the same dress that Anna-Kat was wearing at the beginning of the episode. I've really got to update my wardrobe. The fact that I'm a grown woman matching with an 8-year-old is not a good thing! -Funniest lines both go to Anna-Kat, when telling Oliver she won't be tricked by him after they join forces ("I know how to count. I'm not Taylor.") and when she tells Oliver what she's going to do with the money after they split up ("You know what this sound is?... [cries]...that's you after I win that 500 bucks and hire someone to punch you in the mouth.") Anna-Kat may be off her rocker, but she sure is awful funny about it! Will Taylor and Trip last this time? Let me know what you think below.